With spring having finally arrived in Vienna and all the parks in bloom, Austrians move outside of the cities and enjoy being outdoors after the long winter. When I was a child, we spent a lot of time exploring the nearby sights with my parents. One of the places was the beautiful Laxenburg Palace. Later on, I visited summer balls at this beautiful place and also helped organize a UN conference there. 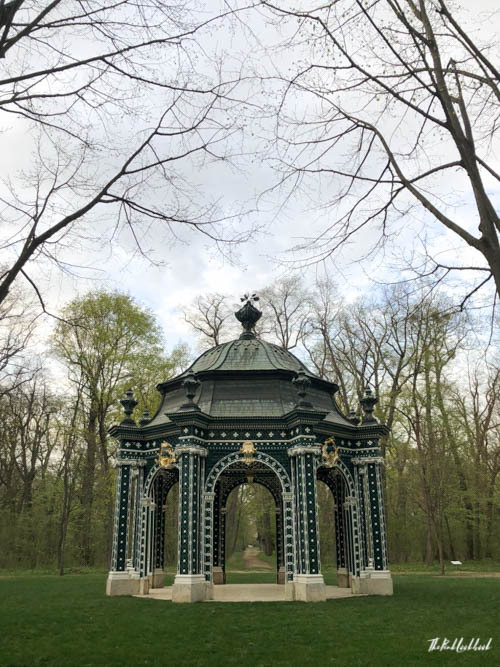 This romantic spot is also a popular wedding location and I highly recommend a day trip from Vienna. After a busy day in the city, I needed some downtime and spent a spring evening in the park. The Franzensburg is surrounded by a beautiful lake where you can rent boats. 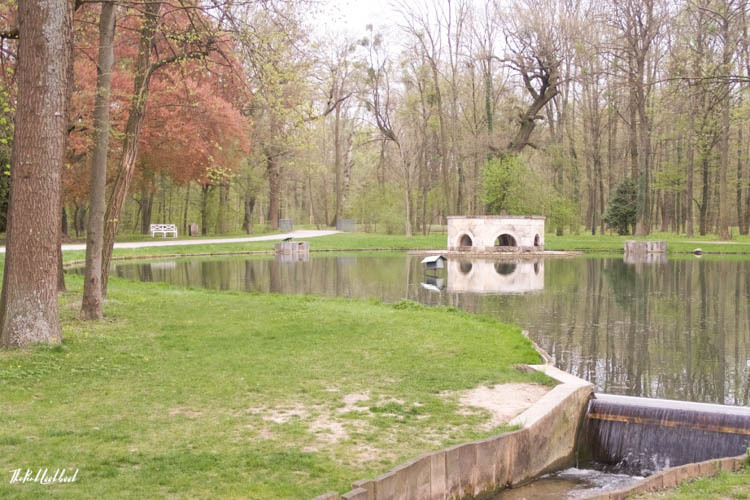 Laxenburg – not to be confused with Luxemburg – is just a 20-30 minute car drive from Vienna. The heart of the small town is the imperial park (Schlosspark) with the Palace and the Franzensburg, another castle. Maria Theresia and later on her grandson Emperor Franz expanded the park in the 18th and 19th century. I fell in love with these white benches scattered at every corner of the park. Later on, Emperor Franz Josef and his wife Sissi spent their honeymoon at Laxenburg. 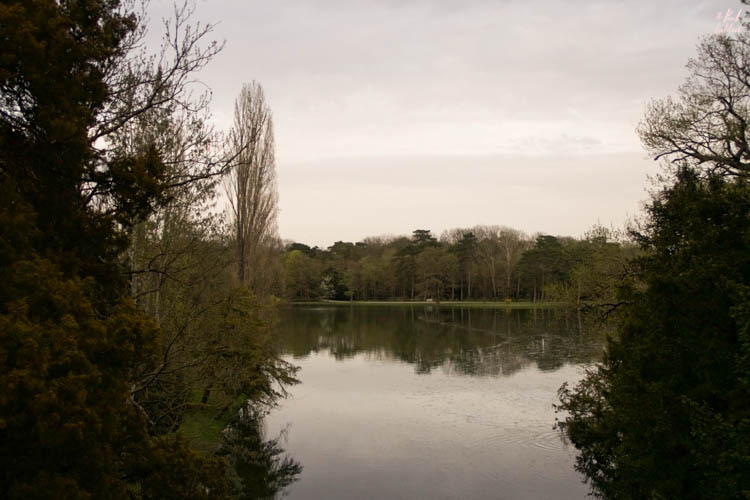 The couple loved nature and animals and Laxenburg served as an escape, especially for Sissi. This was probably my favourite spot. I discovered the pavilion by accident because I got lost in the park. The park is huge and I highly recommend walking and exploring it. It is a bit confusing, because the signs are not always 100% clear and I got lost. However, I found hidden gems like the pavilion above. 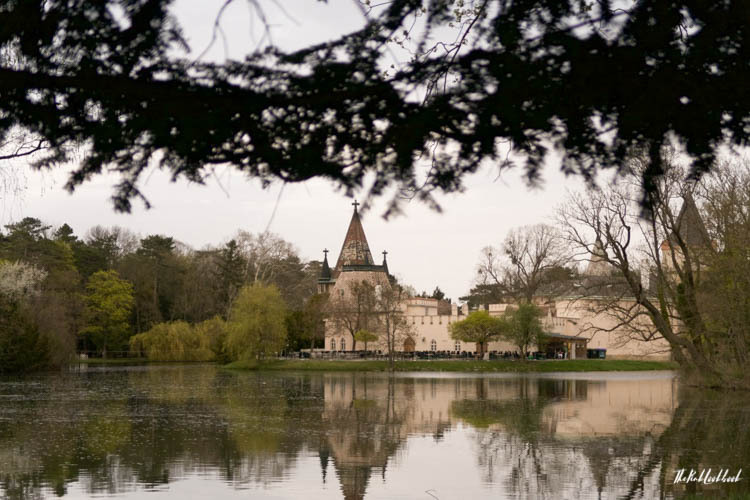 Laxenburg Palace is a popular location for weddings, balls and conferences. 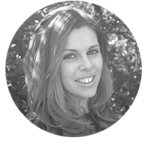 It is perfect for a day trip with kids and/or dogs or if you just need some downtime. Sunset at the Laxenburg imperial park. You can rent a boat and explore the lake and the surrounding builidngs. A bridge in gothic style on the way to the Franzensburg. If you feel a bit lazy, there is a little train taking people around the park. For the sporty ones, there are several running trails. 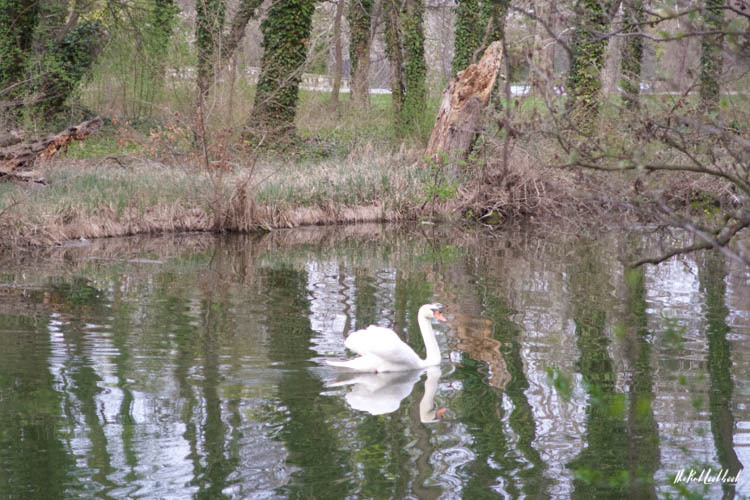 A swan enjoying the calm evening. And, of course, a trip to Laxenburg has to end with some ice cream at nearby Der Eissalon Laxenburg. This ice cream parlour is institution which has already been there when I was a child and I think even when my parents were students. 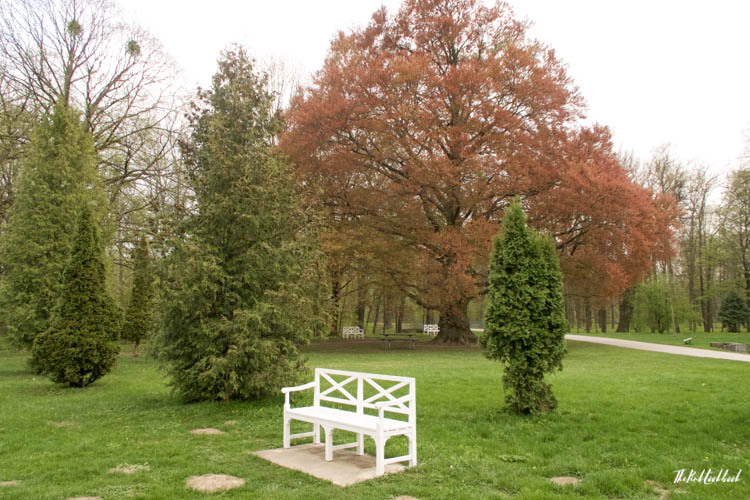 If you are looking for pretty interior design or flowers, Lederleitner has a major branch at the Orangerie Laxenburg. Beautiful details on a bridge near the Franzensburg. If you come by car, there is a really good parking system. 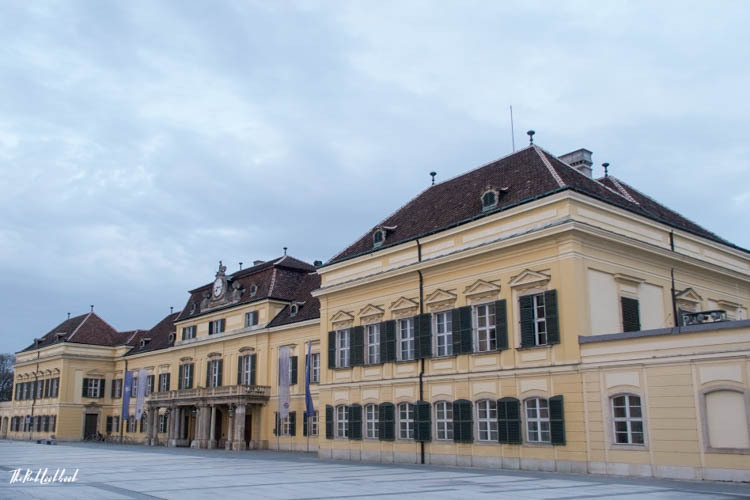 At every half hour, there is also a bus from the main train station in Vienna: Bus 200 with the direction Wien (Südtiroler Platz) – Eisenstadt. 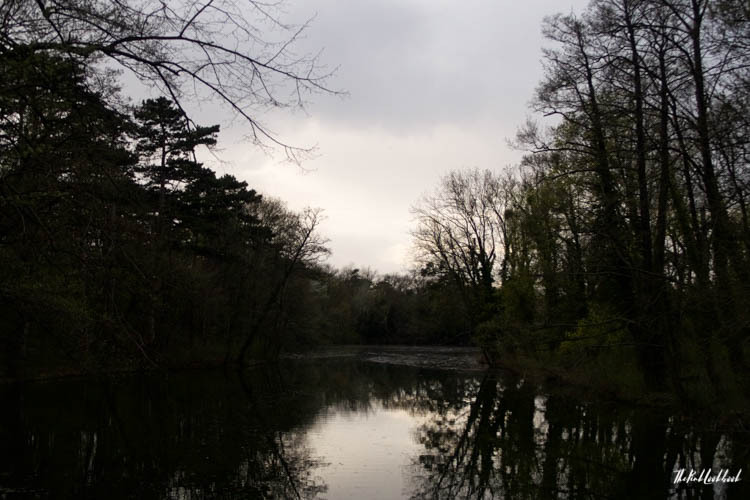 It will also take about 30 minutes to go to Laxenburg. I have not been to Vienna and this really makes me want to go. Your photos are great! Now in my list. Thanks so much for your feedback! I think you really should put Vienna on your travel bucket list! This is so cool! Which novel was it? 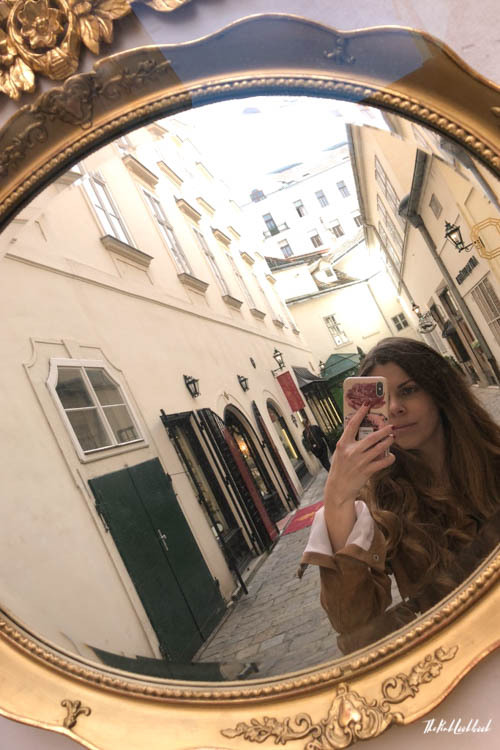 You should definitely come to Vienna and see all the places! Looks beautiful and Vienna is on my list for one day! You should travel to Vienna one day! I loved reading this!!! My hubby keeps telling me we need to visit Vienna soon and I can’t wait till we finally do! Getting lost is a wonderful way to discover new beautiful things! Thanks so much! <3 I hope that you can travel to Vienna and explore! Haha, yeah, then you will probably find it! A lot of people don’t know about this place, but it is so beautiful and I think it’s definitely worth a visit! What a gorgeous area to explore. I’m so hoping to make it to Vienna this summer. Now Laxenburg Palace is on my list oh places to go and see! Summers in Vienna are great! I hope that you can come and see it! I haven’t been to Vienna until now. This must look amazing when everything is bloomed 😀 Must feel like royalty to walk around in those gardens. I haven’t been to Vienna (just Salzburg) so I would love to check this place out when I get the chance to return to Austria. It looks beautiful and I bet is gorgeous in the spring and summer. It really is. If you loved Salzburg, you will also fall in love with Vienna, I’m sure! I love this city ! Vienna offers a unique blend of imperial traditions and stunning modern architecture 🙂 Filled to the brim with Imperial architecture, world-class museums, and coffee houses, it’s easy to see why Vienna is World known for it’s old world charm and as one of the most beautiful capitals in the world. Thanks so much for your words about Vienna. I started appreciating it when I moved abroad. And now, every time I walk through the city, I appreciate it more. Such a great article and amazing content. I would love to consider doing a daytrip like this when going to Vienna. It all looks so green and peaceful, I love it. Thank you! Thank you for your kind feedback! So happy you like it! Laxenburg is really worth a day trip! Cool, I didn’t know this existed! I only went to the Royal Palace in central Vienna! Love your note about how it shouldn’t be confused with Luxembourg. A Luxembourger thanks you! ;) It looks really picturesque and elegant. I particularly like pavilions in parks, I think there’s something very quaint about them. Hahaha, you’re welcome for the note. The palace is not as well known among tourist as the palaces in the city centre. 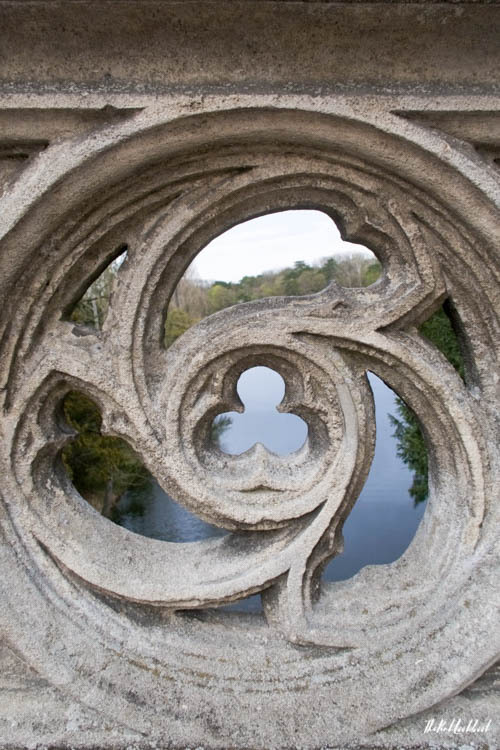 But I do think it is worth a day trip to explore Laxenburg. Gorgeous! I love that pavilion. Looks like a great place to relax with a picnic and a good book. It really is, it was so peaceful there! Such a cute day trip! I love places surrounded by a lake it always makes them looks magical, which is totally the case here! Sometimes it’s nice to get lost that’s how you find some very pleasant surprise like this pavilion, I love the architecture of it. This sounds like a good day trip and fairly easy to get to, it’s great you can get the bus too. That pavilion is gorgeous – isn’t it great getting lost sometimes! I’ve been wanting to visit Vienna for a while, I’ve heard it’s a beautiful city. Sometimes, getting lost can be a positive thing 🙂 I agree. I hope you can make it to Vienna soon, I’m sure you would like it! And Laxenburg is just a stone throw away. Awesome photos! In a weird way, some of those photos (especially the one of the buildings in the square) remind me of where I studied university in Kingston, Ontario…. Of course, the culture and landscape would be totally different, but I love when I can draw connections between different places in my life. Haha, that’s interesting. Even though there might be differences, it’s so funny when we can see commonalities across continents!